Whether you’ve ever dealt with bedbugs before or not, you know that an infestation is not something you want to tackle! Bedbugs are unwanted house guests that, as their name suggests, can get into your bed. And when people say “goodnight and don’t let the bedbugs bite”, they really mean it. These little suckers can bite you while you sleep and leave you with itchy welts all over your body. Understandably, it’s best to prevent bedbug infestations if at all possible, but sometimes it takes visible signs of bedbugs to realize there’s a problem. The more you know about what bedbugs look like and how to handle them, the easier it will be for you to spot them and take care of infestations as quickly as possible. Here is all you need to know about bedbugs and what to do about them. 1 What Does A Bedbug Look Like? 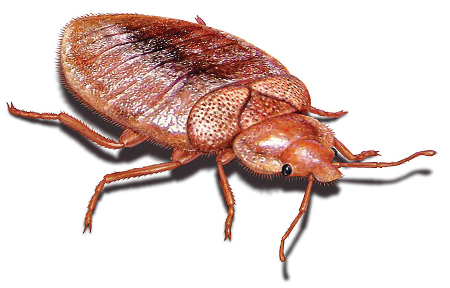 What Does A Bedbug Look Like? Adult bedbugs are 4 – 5mm long and have oval shaped, wingless, bodies. They are brown in color, but after feeding their color will usually redden and darken. Adult bedbugs do have the vestiges of wings, called wing pads, but not fully formed wings. The bedbugs themselves – Many people think bedbugs are too small to see with the naked eye. While this is true of nymphs (juvenile bedbugs), adult bedbugs can in fact be seen with the naked eye. Dark pinprick-sized dots on the bedclothes (these are marks from bedbug exrement). Red colored stains on the bedclothes or matress (these are caused by bedbugs being crushed). Bedbug eggs or shells, which are about 1mm in size and a pale yellow in color. 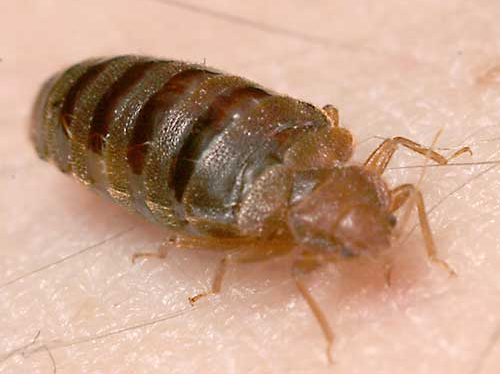 Despite their name, bedbugs don’t only appear in beds. 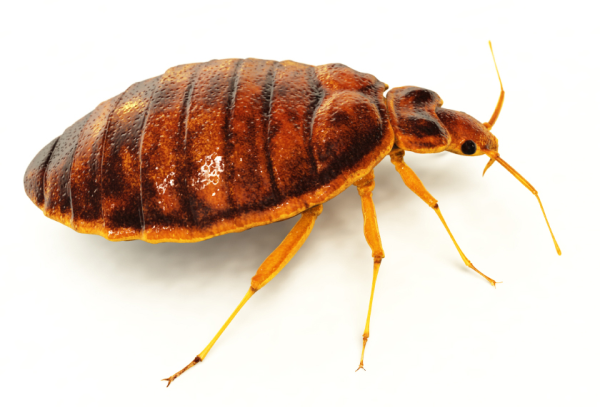 If you suspect you have bedbugs, it’s also important to check other soft furnishings, curtains, the joints in drawers and furniture, and even electrical outlets and loose bits of wallpaper. There isn’t just one way to treat a bedbug infestation. You can take an organic or chemical-based approach. The most effective way to treat an infestation is to combine both approaches into an integrated bedbug solution. Integrated management means using both organic methods and pesticides to deal with the bedbugs. 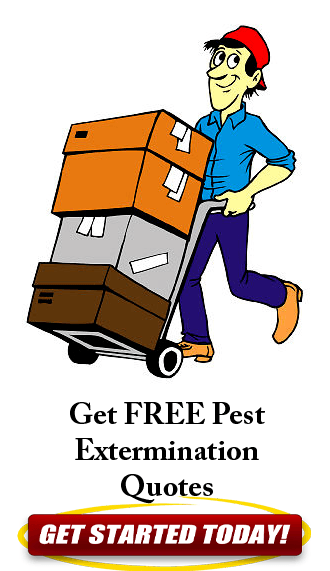 The best way to decide on and implement bedbug treatment is to contact a professional pest management company. The right treatment will depend on everything from the extent of the infestation to how cluttered your home is to who else lives in your building and whether they are willing to participate in treatment to stop the infestation spreading. An experienced company can advise you on the best treatment for your unique situation. Getting rid of bedbugs takes time and patience. You won’t see results straight away but if you stick with the advice given to you by your pest control company, you can rid your home of bedbugs. Clean and vacuum your home regularly. Reduce clutter so bedbugs will have less places to hide. Cover your mattress with a clear protector – this reduces hiding places, makes bedbugs easier to see, and prevents them reaching the mattress itself. Seal any cracks around walls, doors or baseboards, and make use of doorsweeps to prevent the spread of bedbugs to or from your home. Thoroughly check over any second hand or vintage furniture before brining it into your home. A bedbug infestation is unpleasant and inconvenient. By taking simple steps to reduce the risk of bedbugs, and knowing what they look like and how to deal with them if they do appear, you can keep your home bedbug free. Baking Soda – Does it Really Kill Fleas? How Much Does A Flea Exterminator Cost? Copyright text 2019 by PestChat.Com.